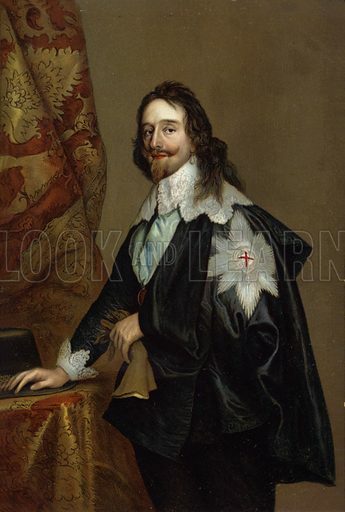 The best pictures of Charles I are striking portraits and scenes of unexpectedly heroic valour. 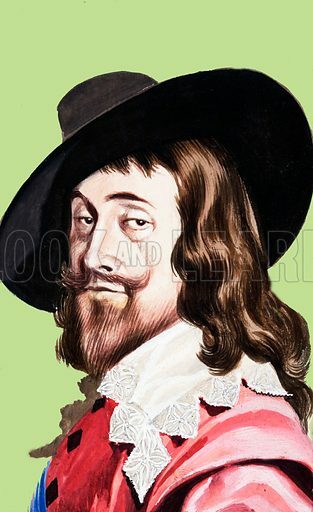 The first picture shows a portrait by Vandyck. 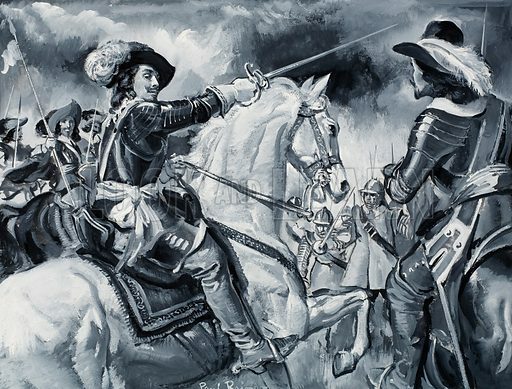 The second picture shows Charles I in the field as Commander-in-Chief of the Royalist Army. The third picture shows a portrait.